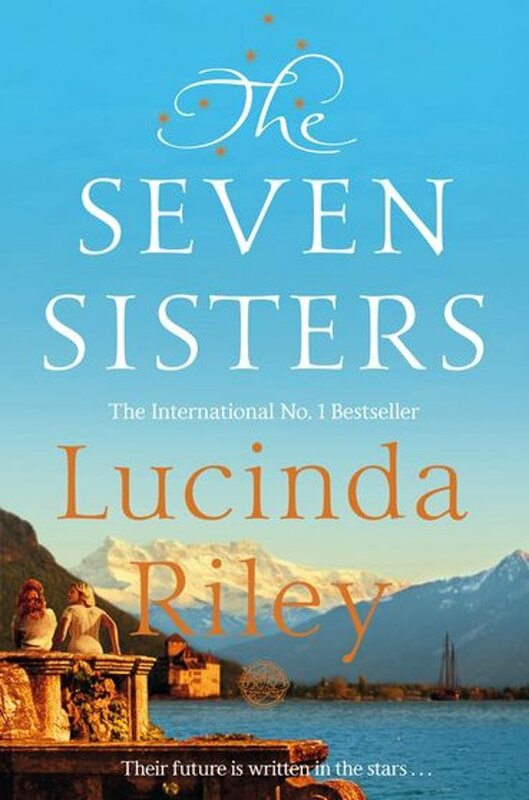 The Seven Sisters is a sweeping epic tale of love and loss by the international number one bestseller Lucinda Riley. Maia D'Aplièse and her five sisters gather together at their childhood home – a fabulous, secluded castle situated on the shores of Lake Geneva – having been told that their beloved adoptive father, the elusive billionaire they call Pa Salt, has died. Each of them is handed a tantalising clue to their true heritage – a clue which takes Maia across the world to a crumbling mansion in Rio de Janeiro in Brazil . . .
Eighty years earlier, in the Belle Époque of Rio, 1927, Izabela Bonifacio's father has aspirations for his daughter to marry into aristocracy. But Izabela longs for adventure, and convinces him to allow her to accompany the family of a renowned architect on a trip to Paris. In the heady, vibrant streets of Montparnasse, she meets ambitious young sculptor Laurent Brouilly, and knows at once that her life will never be the same again. The Seven Sisters is the first book in the spellbinding Seven Sisters series. Where to even begin. WOW. What a jewel. Not rereading the blurb before I started reading, this story took me completely by surprise. I let Lucinda Riley and her wonderful characters take me on this breathtaking journey. After only a few pages I found myself completely immersed in these story lines and characters and I felt almost heartbroken when there were finally no more pages left for me to read. I don't want to give away too much about the story - 'cause really, I can only recommend just diving in before (re)reading the blurb - but I can honestly say that the character's (family) history is incredibly interesting, surprising and oh so romantic. Even though the main characters are so far apart from what I know or who I am, I felt an instant connection. It's clear that Lucinda cares a lot about her characters and that care and love really translates into her stories. I couldn't be happier to know that the sisters' stories will continue in a 7(!) book series! Not only am I dying to know what each sister's story is, I'm so excited to - hopefully - find out more about their almost magical upbringing. I can't wait to travel the world (through time) in the next 6 installments. The Seven Sisters really has anything. Family, sacrifice, love,... I feel overwhelmed, to be honest. And I know for sure that these characters and their amazing stories will stay with me for a long time. ik ga ze zeker niet allemaal lezen! Een echte roman in de meest romantische zin van het woord. Ik denk dat vrouwen hier meer plezier aan beleven dan mannen. Leest heel makkelijk en is erg voorspelbaar, maar zo heerlijk om in weg te duiken. Een soort ‘guilty pleasure’. Dit is nu echt wat de Engelsen een "pageturner" noemen, d.w.z. erg moeilijk om weg te leggen. Een heerlijk strandboek. Niet te ingewikkeld en een boek dat je door wilt blijven lezen. Op naar de volgende! de inhoud boeide me niet. Chicklit zonder diepte. Is het midden tussen historische roman en doktersromannetje. Prachtig verhaal. Een echte pageturner. Heerlijk boek voor op vakantie. Boeiend verhaal, interessante geschiedenis, mooi geschreven. Spannende en mooi geschreven verhaal. Toch wel intrigerend om de vervolgen ook te willen lezen. Alles past te mooi in elkaar op het eind! Zalig boek en er zijn er nog 6 zo!